While some might argue that business philanthropy is a duty or is done simply out of a desire to help others, the real reasons behind the philanthropic efforts of America's top business people are often more complex. Certainly they feel the same human urge to give to charity as anyone else, but this is augmented by the motivation to change the world and make a difference that drove them to become successful in their chosen business field in the first place. Business philanthropy takes place for many reasons. Often when people become successful they want to give something back to the community they've come from. This also helps them to feel connected to that community. By giving something back they become more deeply rooted; and it helps them to feel a sense of empathy and belonging. Success and great wealth may have benefits, but can also be extremely isolating. Philanthropy is one of the best ways to overcome this feeling. Business philanthropists may also give to causes that they have no direct connection to, but which are nevertheless close to their hearts. Examples might include endowments to the hearts or aid projects in the developing world. Again this gives a sense of fulfillment, of making a real difference to the world. This sense of personal fulfillment is a key factor in individual happiness. In the case of rich philanthropists, it comes down to knowing that all of the money in the world is as good as worthless if you can't do something good with it. 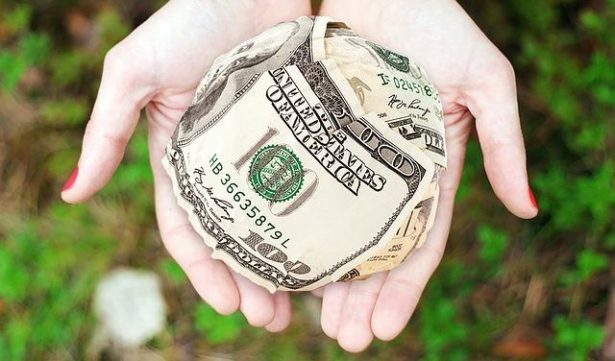 Many philanthropists want to get more directly involved with the causes they support. These individuals often set up their own charitable foundations and, as well as giving money, apply the knowledge and instincts that have served them so well in business to achieving the charity's aims. The innovative thinking and business acumen they bring to charity work can often be as important as the millions of dollars they raise. There is also the matter of courting public opinion. No matter how selfless your philanthropy might be, or how much you avoid publicizing it, good deeds and charity work will inevitably reflect well on your company. This can't help but improve the standing of your brand in the eyes of the public. Involving employees in hands-on community engagement, such as tree-planting days or outreach events with the elderly, can also boost staff morale and make your workers feel they're involved in something nobler and more important than simply earning a paycheck. In 2017 America's wealthiest individuals donated $14.7 billion to good causes, more than double that of the previous year. Some of these philanthropists are well known. The Hungarian-American investor George Soros has a personal net worth of over $8 billion but has donated over $32 billion to Open Society Foundations, the organization via which he funnels his fortune to initiatives to reduce poverty, increase educational opportunities and promote transparency in business and politics. Microsoft Founder Bill Gates established the William H Gates Foundation in 1994, relaunching it as the Bill and Melinda Gates Foundation six years later. In 2006 Gates announced that he intended to spend less time on the day to day running of Microsoft and to devote more of his energies to the Foundation's activities. With over $50 billion in assets it is considered the largest private Foundation in the US, and works towards improving healthcare, educational opportunities and access to IT, as well as tackling extreme poverty worldwide. As of 2013, Bill Gates had personally donated $28 billion to the Foundation. It has also worked closely with Warren Buffett, at one time considered the world's wealthiest individual, who in 2006 pledged to give 10 million class B shares in Berkshire Hathaway to the Foundation over several years. The first year's donation alone was valued at $1.5 billion. Charles Phillips' charity foundation, the Phillips Charitable Organizations, was established when the Infor CEO and his wife Karen combined their existing charitable organizations under one umbrella. The private non-profit gives financial support directly to wounded veterans, single parents and students in engineering and technology. Phillips' own background in the US marines obviously underlies his support for those injured while serving their country, while the direction of student support reflects the technology specialisms of Infor, the global software provider. The CEO of New York asset management firm Blackstone Group, Jonathan D Gray, is a billionaire whose Gray Foundation supports research, improved treatment and raising awareness of BRSA mutations that could lead to genetically inherited cancers. Grey's sister-in-law, Faith Basser, died of ovarian cancer, and Gray and his wife Mindy also founded the Basser Research Center in 2012 to tackle BRSA-related cancers, and established the Basser Global Prize for ground-breaking cancer research. All of these business philanthropists give for different reasons, but all are making a huge difference to the lives of millions of people around the world. In many cases they are also supporting research that will benefit generations to come. This in itself is surely a source of satisfaction and fulfillment and is money well spent.